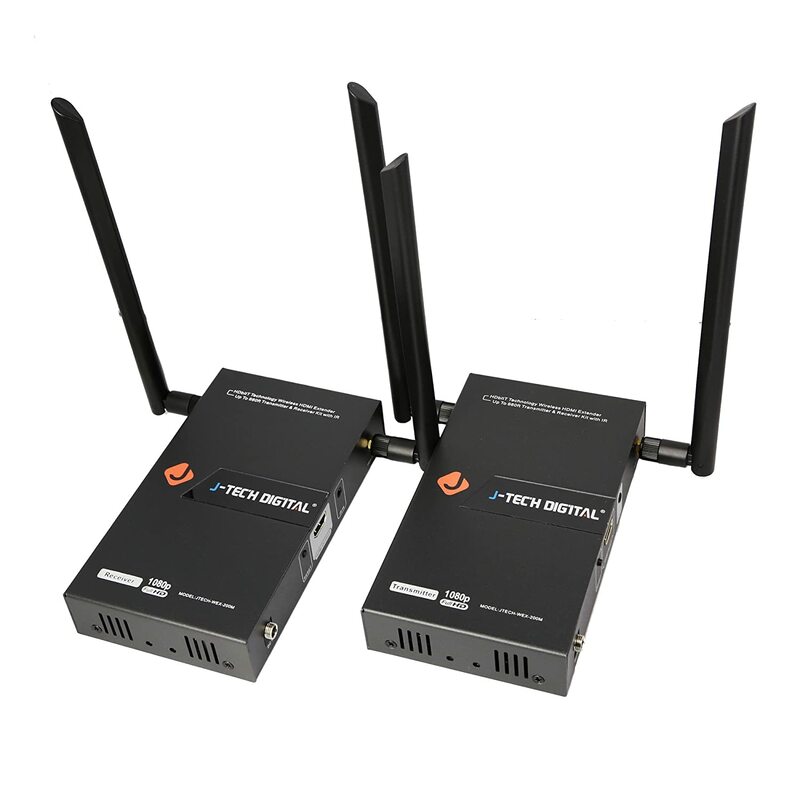 This innovative transmitter and receiver pair are capable of streaming full HD 1080p video with support for the latest 3D movie content up to 660 ft. away within the home, through walls and ceilings for your desired setup. The extender is based on latest HDBitT technology which greatly improved the signal stability and transmission range, unlike WHDI technology, for which loss of signal is a common issue. The J-Tech Digital wireless extender provides full compatibility with HDMI signal up to 1080P FULL HD. The innovative 1x2 function allows you to wireless split HDMI signal to broadcast over 2 TVs. It does not require a line-of-sight placement, so you can keep your home theater devices neatly out of sight. Compared with the single antenna version, the dual antenna version has improved data transmission rate and video stability. Free lifetime technical sup port from the manufacture and free 1 Year Manufacturer Warranty from J-Tech Digital. AMAZING VIDEO QUALITY UP TO 660 FT AWAY: J-Tech Digital HDBitT Dual Antenna 1x2 HDMI Wireless Extender is the most powerful wireless HDMI extender on Amazon. 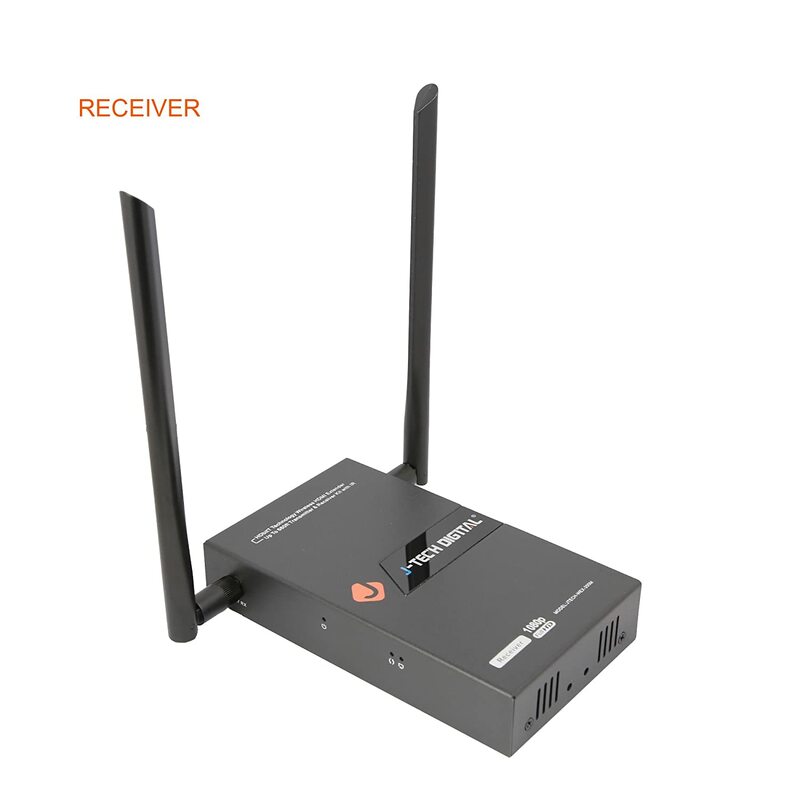 It lets you extend an HDMI audio/video signal wirelessly up to 660 ft (200m) using latest technology. 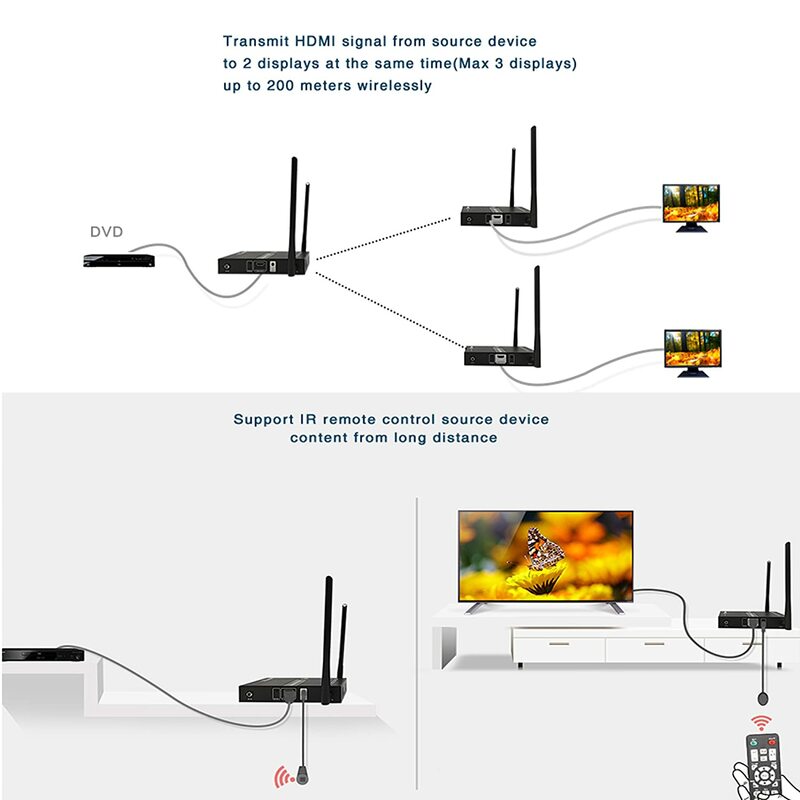 SUPPORTS TWO RECEIVERS AT SAME TIME: the transmitter can send video to two receivers, which is useful for broadcasting over 2 TVs. DUAL ANTENNA AND MORE STABLE TRANSMISSION: with implementation of the dual antenna design, the data rate has been greatly improved and thus more stable and fluent video. 20-60 KHZ WIDE FREQUENCY IR CONTROL EXTENSION: Let's think about a scenario. If you have a DVD player in your media room and a TV in your living room, while you are in the living room, you can still use your DVD remote to control the DVD player. PREMIUM PICTURE QUALITY & STABLE SIGNAL TRANSMISSION: With HDBitT technology, you’ll be amazed at how HDBitT maintains your Ultra HD picture quality with super stability/reliablity, even at 650 feet away from your video source.